Blogging to promote your event and to weigh in with your opinion on the issues that concern your industry is a great idea. However, are you staying on the right side of the search engines in your campaign to connect with your community through your blog? Here are three quick SEO tips to keep in mind when creating content for your event’s audience. 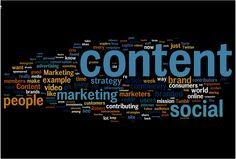 Every shrewd digital marketer today understands the importance of content marketing. However, that means that a plethora of blog articles are being published every day, and the same ideas and trends are getting promoted over and over again. In such a scenario, it becomes extremely difficult to produce unique content, but the reality of a marketer’s life is that search engines rate original and new content higher. In fact, sites with duplicate content are actively discounted. So, it’s important to create original content to ensure high visibility to your audience. To provide the most relevant content to the largest section of the audience, search engines and social media platforms have jumped on to the ‘What’s trending’ bandwagon. For content marketers to stay pertinent with both, it’s a good idea to marry your content to themes which are making headlines at the moment. Words can be powerful. Especially complicated ones. It’s easy for creative and technology-savvy marketers to get carried away, and use technical jargon and heavy sounding words in an attempt to influence the reader. But the reality is that the easier it is to absorb your content, the more successful it will be with your audience. And the more often it’s read and shared, the higher it will go in search engine ranking.